For additional information about this book, visit the website www.paythedevilhisdue.com. 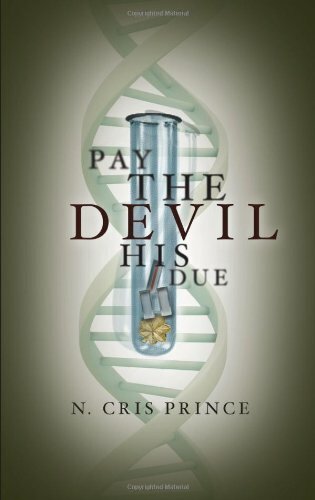 The biotech industry, arguably the last bastion immune from corporate corruption, is the unlikely setting for Pay the Devil His Due, where the machinations of former Marines turned rogue executives lead to a series of gruesome interrelated crimes. As the national economy experiences a financial crisis, greed and abuse of power invade the penthouse suites and board room of Genomic Biotherapeutics, erupting in interplays of embezzlement, blackmail, and a demonic quest for revenge with devastating results. Amidst the boardroom's old-boys'-network and law enforcement machismo are two beautiful, resilient women on opposing sides of an investigation - Norah, an attorney with GenBios, and Alex, a sergeant with the local sheriff's department. For each, the unraveling of a grisly crime reveals elements of a painful past. Pay the Devil His Due culminates in several shocking and unexpected twists where the laws of jurisprudence and destiny render their verdict. N. Cris Prince, a former Sgt., USMC, and deputy with the Orange County Sheriff's Department, is currently a paralegal for a biotechnology company in Southern California. Pay the Devil His Due is her first novel.